Bargain automatic ! !, grab yourself a bargain auto - drives superbly !! Spacious, practical and affordable. 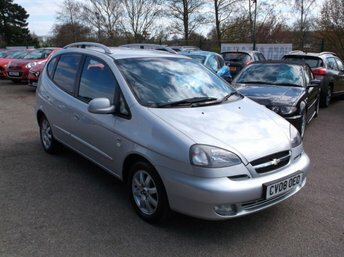 If those items are on your shopping list then take a good look at one of the used Chevrolet Tacuma models for sale in Ipswich today. This solid, compact MPV offers plenty of room for driver and passengers and the flexible interior means it's perfect for family life. Pay a visit to our showroom today and speak to a member of the friendly and knowledgeable team to discover whether the Chevrolet Tacuma is the right fit for your lifestyle. Every used car for sale through Martlesham Car Centre is fully inspected by a trained technician before going on sale, so you can be 100% confident when buying your next car through us.